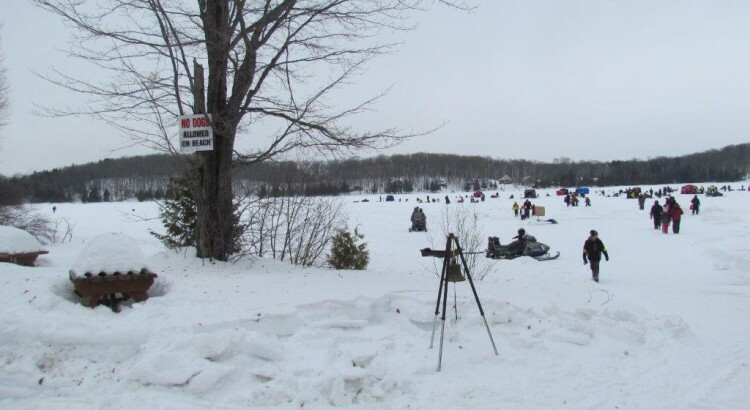 The annual children’s fish derby on Saturday, March 2, at Twin Lakes – off Hilton Road, St. Joseph Island – beginning at 10:00 a.m. HAS BEEN CANCELLED. Ice and snow conditions have made the Derby site inaccessible. Please plan to join the fun next year when Nature permits. The Derby is open to children who are in Elementary School or younger. All equipment is supplied, holes are drilled, and food is available at no charge for children. There are prizes for the largest catch in each category species of fish, and prizes for every child who registers. Registration closes at 12:30 p.m.